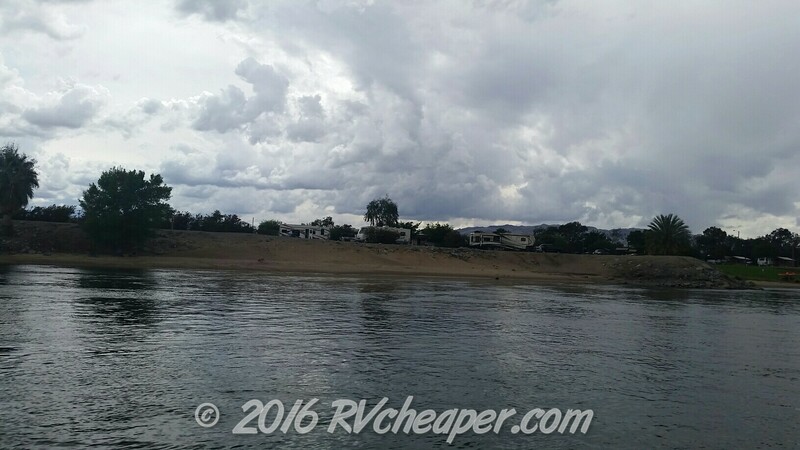 captain Jenny, rollin on the river… – RV Cheaper! April 12, 2016 July 12, 2016 RV Cheaper! We had a great time walking to and from the various casinos and as always we left plenty behind to keep the lights on. One of the highlights ended up being the Jet Boat tour from Laughlin to London Bridge. Barb (cut off), Bill, Charlotte (waving), Chris, Dan (howling), Mel, Jim, Sandy, Alice and me on our way to London Bridge. Click on the photo for a link to the London Boat Tours website. Joe & Jenny are an awesome captains! What a fun ride thanks to our Captain Jenny (who I forgot to take a photo of). Between our antics and the crazy captain Jenny, we had a great round trip on the river with a two hour layover at London Bridge for lunch. On the trip down river we there was only one couple we didn’t know, so hopefully we didn’t ruin their trip! We were really lucky with a cool spell and some light rain over the weekend that made this outdoor adventure very, very comfortable in the low desert. Fender’s Motel and RV Resort, we stayed here two years ago and loved it! Close by is Northshore RV Resort and Rainbow Beach Resort. Pirate’s Cove RV Resort @ $45-$55 per night. I will be interested in the places along the river. We are thinking that’s one of the routes to take through Phoenix area to the gulf this winter.